This handsome plant resembles a huge snowdrop but flowers in April (not the summer, despite its common name!). 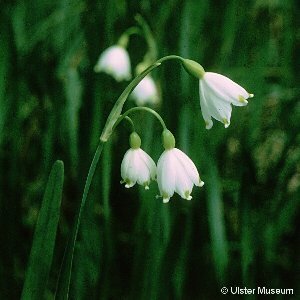 It grows in very wet swampy woodland around Lough Neagh where it may be native. 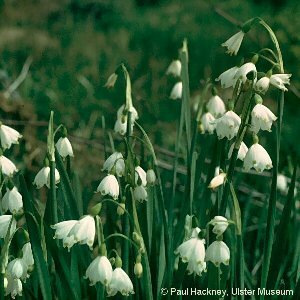 All names: Leucojum aestivum L.; Leucojum pulchellum L.